Bajaj Auto has increased prices of its flagship motorcycle, the Bajaj Dominar 400 by Rs 1,000. This brings the current price of the ABS version up to Rs Rs 1.63 lakh (ex-showroom Delhi). The now discontinued non-ABS version, for stocks that are still unsold, prices have gone up to Rs 1.49 lakh. This is the third price hike for the motorcycle in recent memory. The Dominar 400's prices were by Rs 2,000 each time in March 2018 and July 2018. The Dominar 400 is Bajaj's take on a sports tourer with emphasis on a comfortable and easy-to-use package. 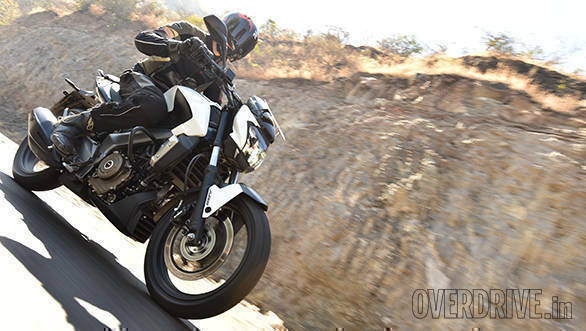 The Dominar 400 employs an engine that's closely related to the KTM 390 Duke's engine. The Dominar's engine, however, gets a new 4-valve, SOHC head with three spark plugs. The engine is in a relatively mild state of tune and produces 35PS and 35Nm. The motor is mated to a 6-speed gearbox. The main frame is a pressed-steel twin-spar style design which ends with a steel swingarm. Bajaj adds conventional 43mm forks upfront and a rear monoshock to round out the package. The rear shock uses two multi-rate springs in series to get a wider range of spring rates. Braking comes from a 320mm front disc and a 230mm rear disc. The Bajaj Dominar received a cosmetic facelift in 2018, including new colours and a gold alloy wheels. Besides this, there are no changes to the engine or cycle parts. The Bajaj Dominar is powered by a 373cc, liquid-cooled, single-cylinder engine that produces 35PS and 35Nm. One of the standout features of the bike is the full-LED headlamp that we found to be quite bright and useful in the dark. 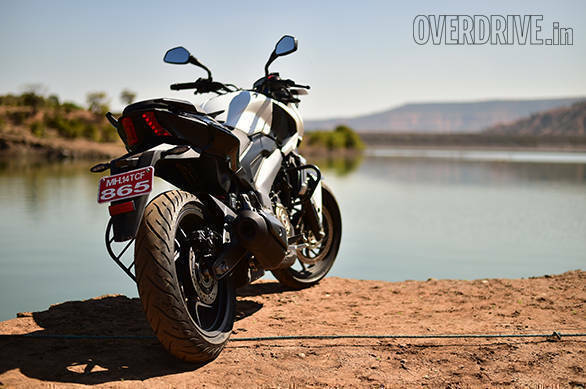 Bajaj had reported that a majority of Dominar customers choose the ABS version over the standard and hence, it intends to phase out the latter in the coming months.